Nissan of New Braunfels is the newest addition to the VBM Auto Group which is a collection of independently owned auto dealerships that cover San Antonio, Austin, and Central Texas. The VBM Auto Group was founded by Vic Vaughan, a long-time area dealership owner/operator, and Berto Guerra, a long-time San Antonio entrepreneur and community leader. The Nissan of New Braunfels facility spans 53,000 square feet and offers customer amenities like no other dealership in the area. The store features a luxury waiting area with fireplace and flat screen televisions, gourmet coffee and snacks. Our New Braunfels, TX Nissan store stocks the complete line of new Nissan models, certified pre-owned Nissans and a wide range of used vehicles. Kalani Asido, Executive Manager at Nissan of New Braunfels, and his team price every new Nissan and used car competitively in order to ensure that you get the best possible savings. In addition, the Nissan of New Braunfels service center provides top quality auto maintenance for all make and model vehicles. We invite you to come experience the newest, most state of the art Nissan dealership in the region. Our service, selection, and savings are second to none. 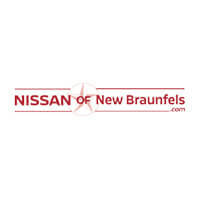 Nissan of New Braunfels is conveniently located at 2077 I-35 North New Braunfels, TX 78130. Call us at 210-625-4367 or contact us online for more details about all the auto services we have to offer.